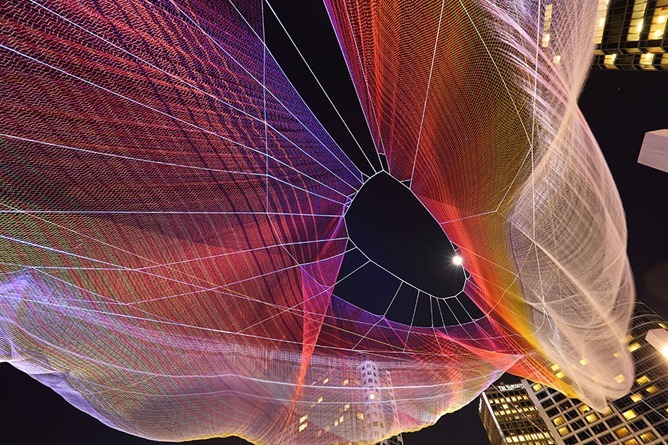 Echelman's sculpture is a 300-foot long web browser made of ultralight fibers stretched out against the sky. 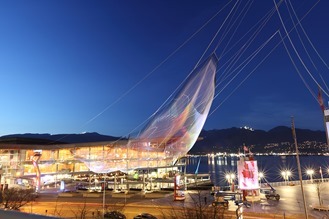 With the help of five high definition projectors mounted below, it displays the colors provided by a website running in Chrome on a smartphone or tablet. 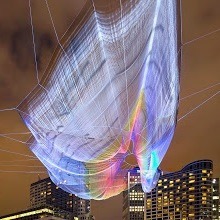 Users trace their fingers across the page, drawing paths that are displayed in real-time as beams of light. 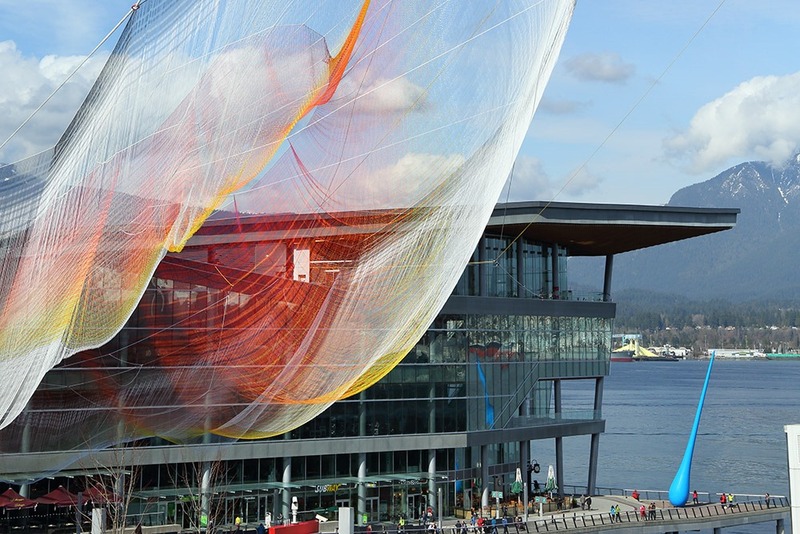 The project, entitled Unnumbered Sparks, is in place for TED's 30th annual conference currently taking place in Vancouver. More information is available at the link below.